An excellent public meeting hosted by Stoke Socialist Party took place last night in the Village Tavern, Stoke-on-Trent. Socialist Party, Green Party and Labour Party members attended along with union reps from CWU, Unison and other trade unionists from Unite, NUT and Usdaw. In response to the Blairites' vicious campaign, a mood of mass support for Jeremy Corbyn's embattled leadership is developing on Merseyside. 4,000 people marched through Liverpool on Saturday 2 July under the slogan "Keep Corbyn, Build our movement". A list of some of the Socialist Party and TUSC meetings in July and August. All welcome! Teachers are striking today against continued attacks on teachers and education as a whole. After seven and a half years, and costing millions of pounds, the Chilcot inquiry into the Blair government's pre-invasion, invasion and occupation of Iraq is due to be published as the Socialist goes to press. Around 250 people gathered at short notice to demonstrate their support for Jeremy Corbyn in Leeds. The demonstration was called by Momentum after discussion with the Socialist Party and others from trade unions and campaigning groups around Leeds. 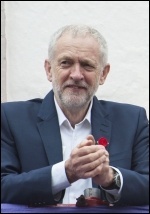 It showed the clear popularity of Corbyn and indeed his electability, despite what those on the right of the Parliamentary Labour Party have argued. Letters to the Socialist's editors including Jeremy Corbyn, Muhammad Ali, Tory racism and refugees. A demonstration on 3 July started in Trafalgar Square with a gathering of around 70 marching towards Parliament to demand votes for 16 and 17 year olds. As we marched, the crowd increased and by the time we reached Parliament Square there were hundreds chanting and marching. In these times of big profits for landlords in the rental sector, it's not uncommon for landlords to harass tenants. A letter demanding increased rent is usually enough to send the tenants packing. But not Butterfields tenants! In response to a threat from fascist group South Coast Resistance to march under the slogan 'Refugees not Welcome Here', over a thousand counter demonstrators arrived at the assembly point by the Bargate in Southampton on 2 July, without a fascist in sight. Mexican police shot dead ten people, mostly striking teachers, in the southern state of Oaxaca. In response to this brutal repression teachers have blocked highways leading to fuel and other shortages. The death of a homeless man, sleeping rough in the centre of Chatham for over a year, has brought calls for action over the spiralling housing crisis in Kent's Medway towns. George Osborne announced on 4 July that he would cut corporation tax by a quarter, bringing it from 20% down to just 15%. This new rate will be among the lowest in Europe, pushing forward Osborne's plan to make the UK a global tax haven. It's one world for the super-rich, and another one for the rest of us. We look at the super-rich and their supercars while cycle couriers suffer. Concerned about their future and that of the National Health Service (NHS), junior doctors in England have voted by 58% to 42% to reject the terms of their proposed new working contract. 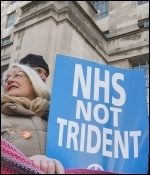 The biennial policy conference of Unite the Union in Brighton 11-15 July takes place against the backdrop of a political crisis unprecedented since 1945. Weymouth and Bridport bus drivers are going into their fourth week of strikes as bosses remain "stuck in a groove" and demonstrate no intention of changing their position in this pay dispute. Only the Militant could explain to me why the Soviet Union had degenerated from its ideals of 1917. It had a programme to fight poverty around the world. Under the leadership of Militant supporters, the LPYS brought out a 'Charter for Young Workers' - a brilliant tool to fight for proper apprenticeships and better wages. I became a Militant supporter and a member of the Socialist Party when it was formed. This conference marked over a decade of the National Shop Stewards Network supporting workers' struggle and organising among rank and file trade unionists. Everywhere you look there is proof that our world is afflicted by enormous inequality - on our side there is austerity, poverty and war and on the other side for the super-rich 1% there is enormous wealth. It's a victory - reflecting enormous pressure from Labour members and trade unionists - that the attempt to stop Jeremy contesting a new Labour leadership election has been defeated. The new Tory PM, Theresa May, was hastily chosen by only 0.0004% of the electorate on Monday 11 July. 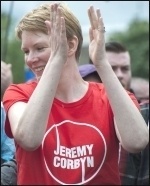 Why I joined: "I no longer felt isolated from politics"
Being a member of the Socialist Party has not only enabled me to find my political voice but also to understand politics on a class basis, giving me confidence to fight for issues I believe in and I feel more empowered than I did before. A massive attack has been launched on NHS congenital heart services in England. Patients, families and health workers will not accept it and we will fight back. As a parent whose 15-year old son had open heart surgery only seven months ago at one of the threatened units, Leicester Glenfield Hospital, I am furious. Following news that junior doctors in England voted by 58% to 42% to reject the terms of their proposed new working contract, health minister Jeremy Hunt is again threatening to impose the contract on them. The first two days of Unite the Union's biennial policy conference was dominated by the attempted Blairite coup in the Labour Party. General Secretary Len McCluskey in opening the conference attacked the Blairites and made it clear it was a political attack on Jeremy Corbyn. Short reports on some of the latest trade union struggles including a roofing workers' strike in Wigan and supermarkets in crisis. In the space of just one year, 2014 to 2015, the number of children living in poverty in the UK has risen by a staggering 200,000. This brings the total number to 3.9 million, according to the Department for Work and Pensions (DWP). Abdul Rahman Haroun, a 40-year-old Sudanese refugee, was sentenced to nine months in prison for trying to reach the UK by walking the Channel Tunnel. The Welsh Assembly has announced it plans to scrap Thatcher's ruinous 'right to buy' policy in Wales. The Socialist Party welcomes this move - but this alone will not be enough to solve the housing crisis. Labour right winger Angela Eagle's bid to topple Jeremy Corbyn did not start well. Press walked out of her launch conference halfway through due to developments in the Tory leadership race. 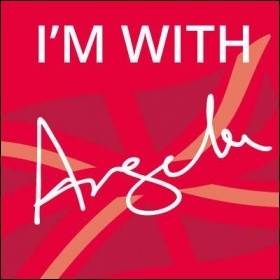 Meanwhile, her Alan Partridge-esque "I'm with Angela" Facebook meme has attracted thousands of comments. Almost every one is some variation of "#ImWithCorbyn". At time of writing, there's over 44,000 of them. It's one world for the super-rich, and another one for the rest of us including facts and figures about new PM Theresa May and the M&S pay cut. The results of the 26 June re-run general elections in Spain were without doubt very disappointing for many activists, and for broad layers of workers and youth. All opinion polls pointed to the much-coveted 'sorpasso' - ie the alternative left overtaking the ex-social democratic PSOE as the main opposition to the right-wing PP (People's Party). Short stories on workers' struggles around the world including the fight for abortion rights in Ireland, solidarity with striking Walmart workers in China and a CWI member contesting a council seat in Brazil. Solidarity with #BlackLivesMatter: Eljeer Hawkins of the Socialist Party's US co-thinkers reports on the anti-racist struggle there. Reader's comment: Online reports of hate crime were five times higher than an average week in the seven days from the EU referendum polling day. The media and establishment want to suggest that anti-migrant abuse surged overnight purely because of the result. A storm of proud fury swept through Brixton, south London on 9 and 10 July as hundreds marched against police racism. 3,000 followed in Manchester on 11 July. Other cities plan to join them. The Labour right have repeatedly shown that they are prepared to dispense with democracy and the wishes of Labour Party members in order to get rid of Jeremy Corbyn. Now they have drastically changed who will be eligible to vote for him. Reports of some of the rallies and meetings in support of Jeremy Corbyn. The Black Lives Matter movement shook Leeds on Wednesday 14th July when over 1,000 people gathered in the city centre before marching through the central shopping district. On 14 July workers from contractors NICO at the Fawley refinery, members of Unite, took strike action against the super-exploitation of migrant workers from Italy and Bulgaria, being paid £48 for a 10 hour shift, instead of £125. Wirral Socialist Party condemns the suspension of Wallasey Constituency Labour Party. "Let us be honest", said Sean Hoyle, president of transport union RMT. "Why should we fear a split? I'd rather have a party with half a million members and 40 MPs who are loyal to those members, than a party led by 172 traitors. It's time for the tail to stop wagging the dog." New figures that half of all food produced in the US is thrown away brings the question of the wastefulness of capitalism into sharp relief. A job seeker sent the following account to the Socialist of his recent experience of having his benefits withdrawn. Well over a hundred attended an enthusiastic rally for Jeremy Corbyn in Derby. But it was noticeable that one or two people were having a go, saying they would never support Labour. They were not Blairite or right wing, but were teaching assistants employed by the Labour controlled Derby council. Trade union fightback needed: The report into Sports Direct's working practices by a House of Commons select committee shows the much acclaimed protection of workers' employment rights by the EU is worthless without the traditional workers' organisations - the trade unions - being strong enough to enforce legislation. Crowds took to the streets of Huntingdon on 16 July to march in solidarity with the Polish community and embrace the diverse culture of the town. I've seen an explosion in sales of the Socialist since the EU referendum, I have sold 135 copies! Key to this has been getting out on the streets to talk to people, whether street campaign stalls, at demonstrations or doing our now regular paper sale at the city centre train station before our branch meeting. 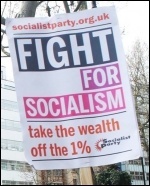 For several years Sheffield South branch of the Socialist Party has held campaign stalls at two community festivals. We extended into a third this year in Sharrow which was a great success. It's one world for the super-rich, and another one for the rest of us. Philip Green's BHS scandal; academy bosses' expenses rip-off. Birmingham reggae group UB40 came out in support of Jeremy Corbyn on Facebook on 12 July. For a brief moment 80 years ago, in a hint of what Spain as a whole would become, Barcelona became the focus of opposition to fascism. In July 1936, 6,000 athletes arrived in the city, greeted by banners and bunting welcoming them. They were no ordinary athletes; the socialist hurdlers and the anarchist shot putters were there for the Olimpiada Popular, the People's Olympiad. The Socialist Party campaigned in the June referendum against the bosses' EU on a principled socialist and internationalist basis. The campaign to save Pent Valley School in Kent has had its application for a Judicial Review refused. Over 60 people, mostly from the local black community, squeezed into a public meeting on 27 July to support and discuss the Black Lives Matter movement in the United States. The leading guest speaker was Ryan Watson, an activist in Black Lives Matter in Chicago, who is also a member of Socialist Alternative - co-thinkers of the England and Wales Socialist Party.